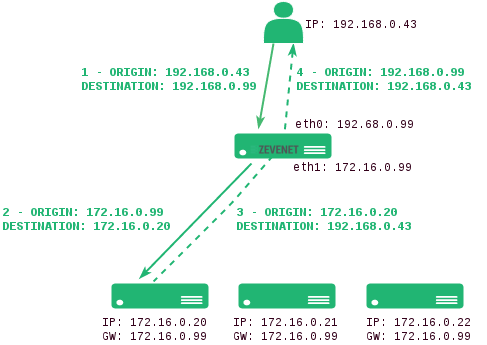 Additionally, L4xNAT farm profile supports multiports with ranges and list of ports against layer 7 farm profiles that only support one single port. 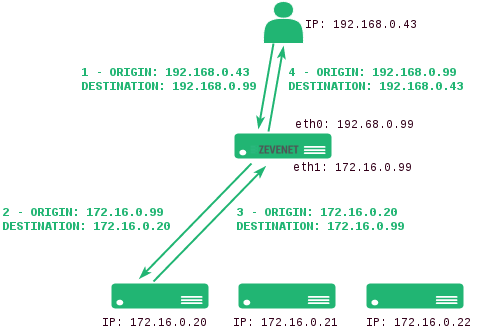 Virtual IP and PORT. These are the virtual IP address and/or virtual PORT in which the farm will be binded and listening in the load balancer system. To make changes in these fields, ensure that the new virtual IP and virtual PORT are not in use. In order to apply the changes, the farm service will be restarted automatically. 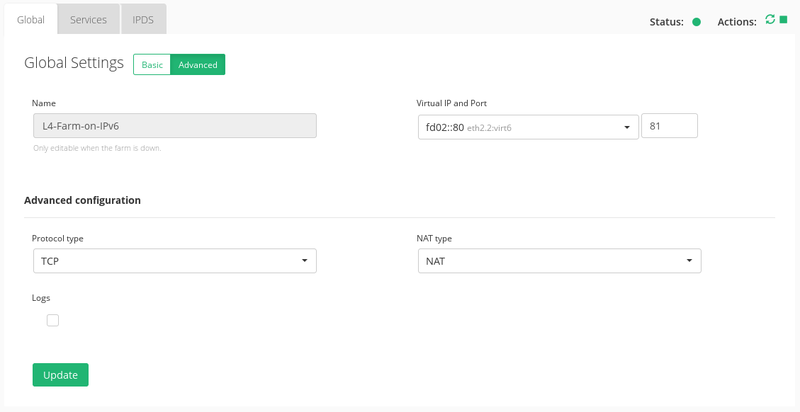 In order to be able to select a range of virtual ports or a specific virtual port in L4xNAT farm profile, it’s mandatory to select a protocol type. In another case, the farm will be listening on all ports from the virtual IP ( set with the character * ). Once a TCP or UDP protocol is selected, it will be available to specify a port, several ports between , , ports range between : or all ports with *. A combination of all of them will be valid as well. ALL. The farm will be listening for incoming connections to the current virtual IP and port(s) over all protocols. If you selected this option, the virtual port will be change to ‘*’ value by deafult, and not is possible edit it, so the farm will be listening for all ports. Logs. To save the connections received on the farm enable the logging option. This is only recommended for debugging or monitoring purposes , because it will slow down the amount of traffic that can be balanced. L4xNAT farms don’t provide an intrinsic health check to the backends so the Farm Guardian configuration is required for this kind of virtual services.